You will most likely require a solicitor at some point during the divorce or separation process. This is to make sure that your interests are protected and that a fair resolution is reached. A separation agreement sets out what is agreed to ensure that you can recognise your duties and responsibilities after separation. It’s understandable that you will likely wish to finalise your divorce and move on and hiring a divorce solicitor can help in making this process as stress-free as is possible. Although it may seem as if your divorce is being agreed amicably, things can change in the future. This is why it’s important to make arrangements with a solicitor to protect your interests and to ensure that you can move on after your divorce. At Hurlows Family Law Practice, we are committed to helping you in finding the best solution to your family law problem. We have the experience and expertise to help you and can advise you on the divorce process. Every single member of our organisation cares very deeply about your case and helping people like you during this understandably difficult time. Through mediation, we also aim to (if possible) avoid court proceedings. These court proceedings can vastly increase the stress and emotion of your case and can be very costly if decisions are drawn out in court. We will use mediation to try and avoid court wherever possible and to reach an amicable decision between both parties. When considering personal finances within a divorce, it’s highly recommended to seek the direct advice of a family law solicitor. This is to make sure that any legal agreements that you make regarding arrangements for finances are legally binding and that these arrangements are fair. 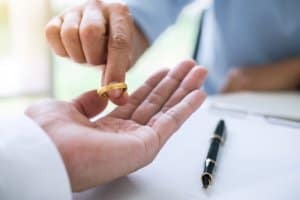 Do You Need a Divorce Solicitor When Going Through a Divorce? The November edition of our divorce solicitors article investigates whether you require a solicitor when going through a divorce. Although it’s not required legally to have a solicitor when going through a divorce, it’s highly recommended to seek the advice and representation of a divorce solicitor. Although you can apply for a divorce and reach agreements yourself without a solicitor, if you do not reach agreements regarding arrangements for children or for finances then you will have to attend court. You will likely require a solicitor present in court and divorce solicitors can also try and prevent the need to attend court. This could be via mediation or by discussions with both parties to try and reach an agreement. 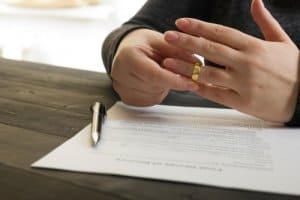 You may not understand the divorce process and all of the considerations that need to be thought about when going through a divorce. As this is the most important case of your life, it can be an understandably emotional and stressful time for you and your family. A solicitor can help you during this difficult time and offer you relevant, up-to-date legal advice. 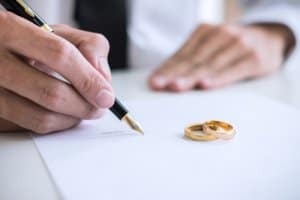 Although the prospect of a divorce is highly daunting, it can be very difficult to consider all of the decisions that need to be made as a consequence of decisions made when arranging the divorce. A solicitor can help you to consider all of the options that you need to consider as well as help you in making decisions regarding your divorce. A divorce solicitor can also offer you emotional and legal support during this difficult time and this in itself can be comforting and bring a sense of clarity in this chaotic time. What Other Services Does a Divorce Solicitor Offer? Apart from being able to offer you relevant legal advice, a divorce solicitor can also offer a range of additional services such as mediation and the drawing up of divorce agreements. A divorce solicitor can also represent you should you have to appear in court and this can be highly beneficial should this occur. Your divorce is the most important case of your life so it’s important to make sure that you have access to all of the legal information and support that you need to reach important decisions when going through a divorce. A divorce solicitor will also be able to let you know about any financial decisions and decisions involving your children which you will have to make. This could include choosing who has custody of children and when, where children will live or other decisions such as how your finances will be split, who keeps the family property or if it needs to be sold for example. Going through a divorce is a difficult process with a lot of factors that need to be considered carefully (as the outcome of a divorce will change the future of your family and your finances.) Enquire with our team of divorce solicitors today if you require more information on working with a divorce solicitor during a divorce.